End of Life Care is a service that is run at both Shrewsbury and Telford Hospital sites, and involves the care and support given to patients, families and carers in the last hours or days of life. Our team includes an End of Life Care Facilitator, End of Life Care Specialist Nurse & End of Life Care Volunteers. The Trust has a Clinical Lead and Non-Exec Member. There is an End of Life Care Steering Group that meet every 6-8 weeks. We also have Ward / Department Clinical and Non-Clinical End of Life Care Champions. Death and dying is very difficult to deal with, but helping patients and their families at their time of greatest need is hugely important to us. It is a privilege to care for people at end of life and support their relatives/friends; we only have one chance to get it right. As a trust we have an End of Life Care Plan. This is an end of life care tool which supports the staff to care for the patient, family and carers at the most difficult time. It is initiated by a Doctor at Registrar level or above in conjunction with a senior nurse; it ensures nothing is forgotten at this difficult time with communication, kindness & comfort being at the centre of all end of life care. We base this plan on the NICE guidelines for the care of dying adults and review the document on a regular basis. Our service also delivers an End of Life Care education programme to clinical staff and an awareness session for non-clinical staff. We have an EOLC e-learning programme for clinical staff and will develop a programme for non-clinical and medical staff in 2019. We have held Conferences at the Hospital, with excellent feedback & have plans to continue these every other year. 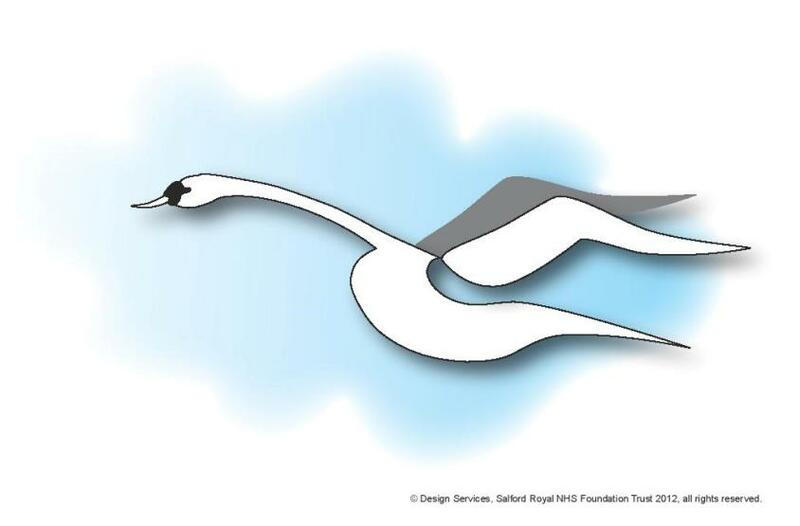 The Trust has implemented the Swan Scheme to represent end of life and bereavement care, which includes all wards now having Swan memory Boxes. The boxes are given to the families of patients that have an end of life care plan in place. They contain relative information a swan pen and paper, a small pack of tissues, a small ribbon-tie bag for jewellery or a hair lock, a swan bag for any property, two hot drink and cake vouchers, lip balm & forget me not seeds. They can be used as memory boxes for people to keep special items such as photographs, jewellery, certificates and cards. We have also developed a small Swan paper bags with useful contents for unexpected deaths. The Swan Rooms are a space for patients that are at end of life to use, allowing relatives to spend valuable time with their loved one in a more peaceful and calming environment. They have been made possible by kind donations from various sources. The rooms contain things such as CD players, mood lights, beautiful pictures and reclining chairs. The aim is that each ward will have at least one swan room. The Bereavement feedback survey is a document given to the bereaved relative on collection of the medical certificate of cause of death. It is an optional survey that allows the family to give feedback to the Trust about the care received at end of life, as well as an opportunity to talk to someone from the End of Life Care Service if they wish. The End of Life Care Volunteer Service was established in November 2017 by the lead Volunteer and End of Life Care Facilitator. To date we have 15 volunteers across both sites and due to its success there are plans to train more. The volunteers are called in to sit with patients at the end of their life who have no relatives or their relatives are unable to visit them. They also support families who may need a short period of respite during their time at the bedside. In all cases the End of Life Care Team communicate closely with the patient and their family, to ensure everyone feels supported by staff and the volunteers. Volunteers are also supported by the volunteer office who arrange essential checks, training and expenses. The volunteers support the Swan Scheme by putting together Swan memory boxes & Swan paper bags and delivering them to Wards / Departments & an out of hours Swan Scheme cupboard ensuring staff have the equipment and information needed at support end of life patients and their families at the hardest of times.